Cutting Materials Corrugated paper, Honeycomb board, Cardboard, Plastic, Rubber board, Grey board, PVC, PU, Acrylic, composite materials, etc. This package cutting machine has aÂ multifunctional working head. The working head can be installed with different working tools. With different working tools this package cutting machine is professional and suitable fo users with various kinds of purpose. 1. Oscillating cutting tool:Â it is the main cutting tool with aÂ vibrating knife. The characteristics are fast, accurate and no burning nor smell. 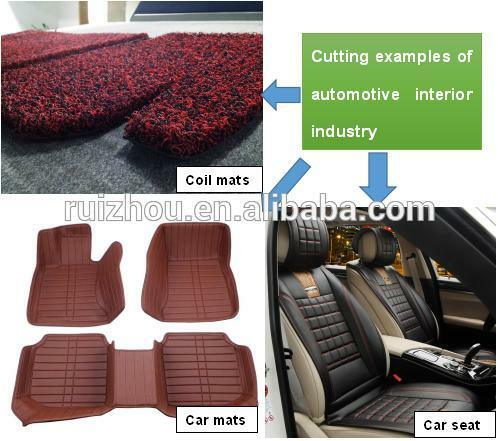 4.Â Flexibility: Each customer can pick up the materials, patterns they like to make the special car mats for their special cars, expending a large automotive beauty industry at your end! Â Â Â You can make the car mats by scanning paper patterns using A0 digitizer to make digital pattern files. Â Â Â Or you cnaÂ use 3D scanner to scan the car and directly get the car mats digital files. Â Â Â Send the digital car mats file to the machine and start cut on your material. You can pick up the parts after a few minutes. The package is one part of the factory production line. The standard overseas wooden package has also to be qualityÂ controlledÂ in order to guarantee the products be perfect when they arrive at your hands. 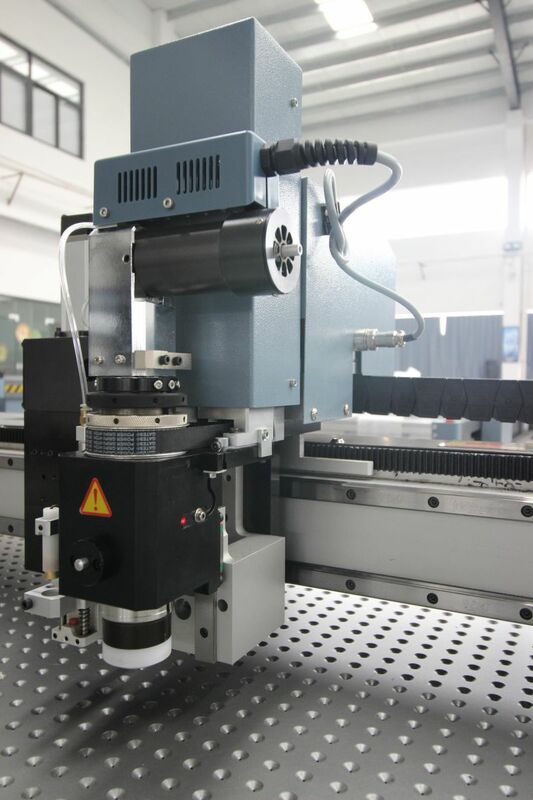 Since 1995, RUIZHOU has been concentrating onÂ researching and developing of CAD/CAM system. At present. 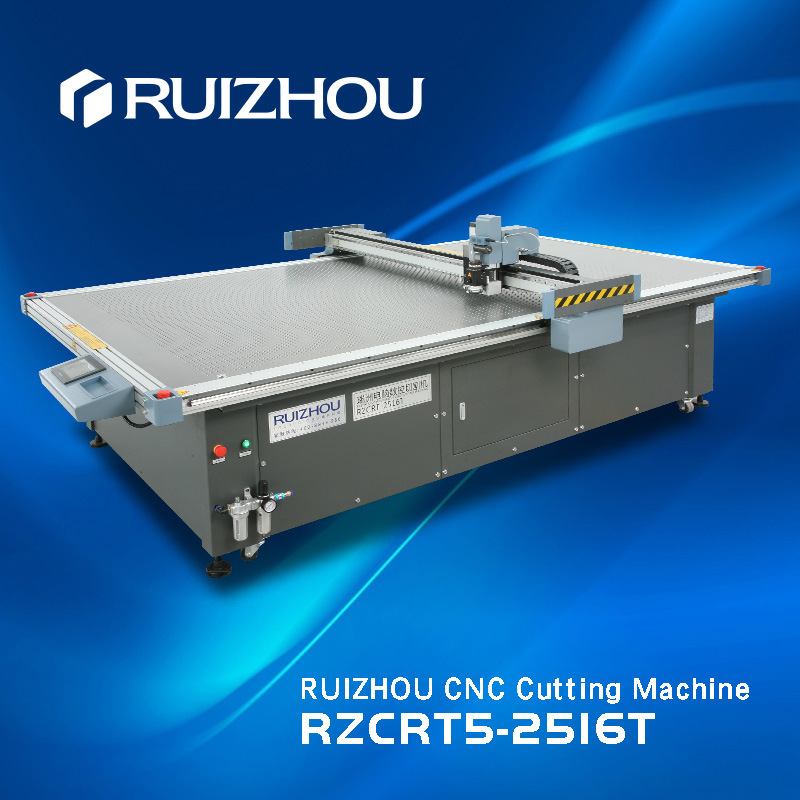 RUIZHOU is aÂ National High-Tech Enterprise famous at home and abroad. 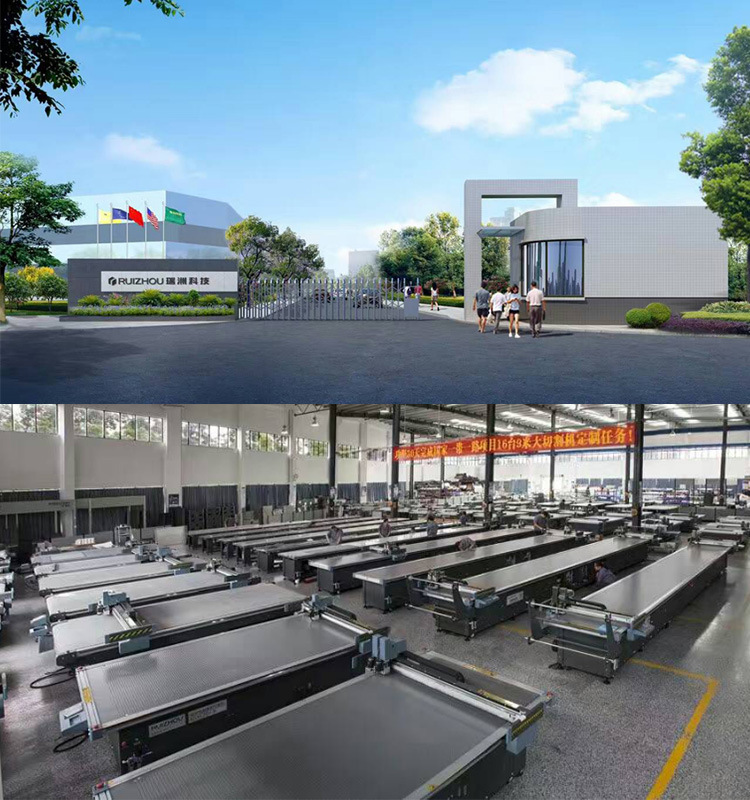 During the past years it has been developing better and better with winning lots of honors on the way.Â Â According to the evaluation by HC International Inc in 2014, our company is the TOP ONE supplier in the domestic soft material cutting system area. Ruizhou has been awarded "Top Ten Footwear Machine Enterprise""Top Ten Innovative Enterprise""The Most Influential Enterprise".RUIZHOU has gained over 50 patents. They are 5Â China Invention Patents, 24 Utility Model Patents, 9Â Design Patents and 13 Software Copyrights. And there are 7Â Invention Patents and 2Â PCT Patents under auditing. 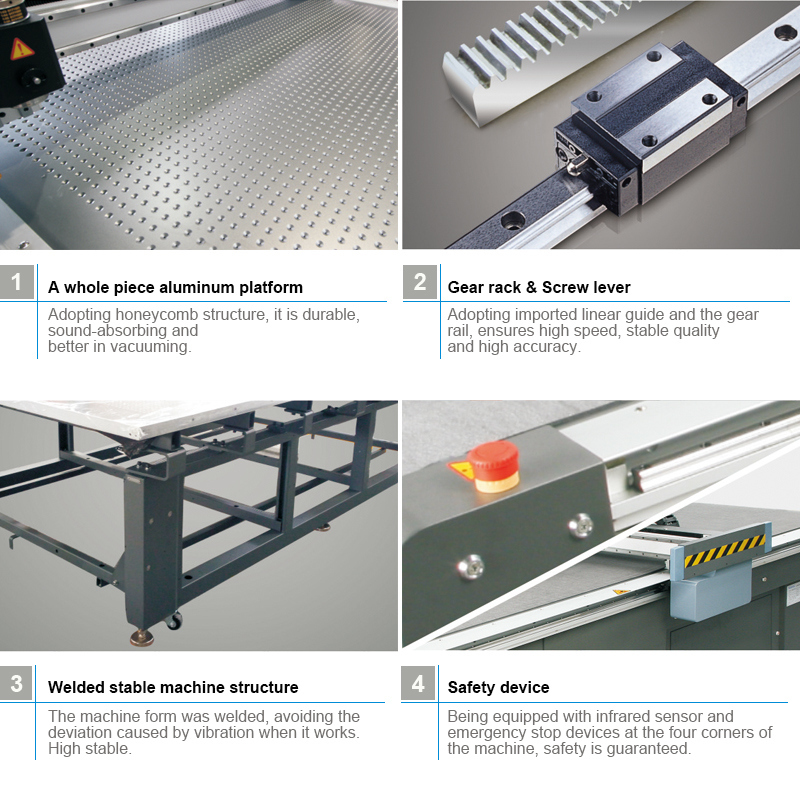 1.OneÂ yearÂ guaranteeÂ forÂ wholeÂ machineÂ exceptÂ ofÂ consumablesÂ suchÂ asÂ knifeÂ blade,Â mat. 5.Â UserÂ friendlyÂ EnglishÂ software,Â usualÂ manualÂ andÂ videos. ItÂ willÂ beÂ appreciatedÂ ifÂ youÂ couldÂ kindlyÂ adviseÂ usÂ yourÂ requirementsÂ inÂ details! High efficient motors take measures from design, materials, and workmanship,for instance, it use reasonable number of fixed and rotor slots, fan parameter and Sine winding and other measures to reduce the wastage. Then the efficiency can be increased by 2% - 8%, an average increase of 4%. 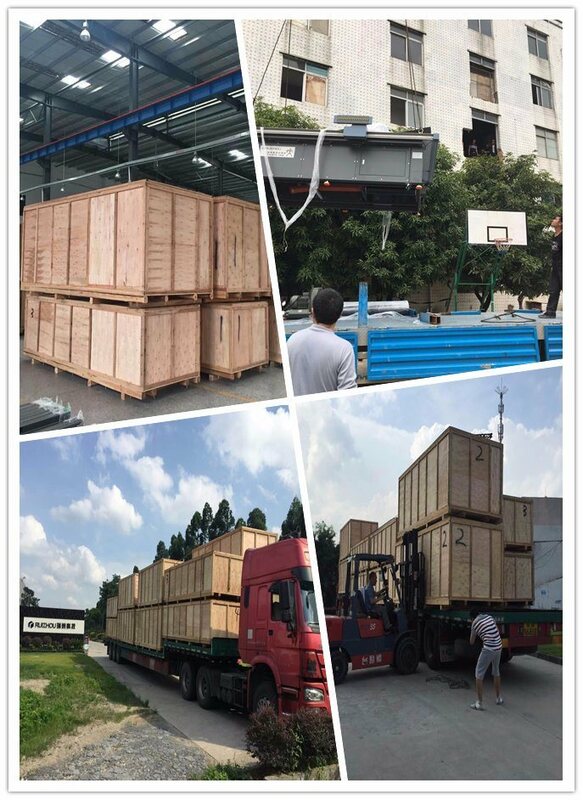 From saving energy and protecting environment, high-efficiency motor is the trend of international development.